If you received a donation for your classroom from one of our generous corporate partners, congratulations! Now, it’s time to say thanks. Corporate sponsors want to help. Our sponsors donate because they want to help teachers and students in their local communities, and across the nation. They know how hard teachers work to provide for their students, and they recognize that many teachers do not have the resources they need to equip their classrooms with the tools and materials their students need. Corporate sponsors need to know the impact they’ve made. Our sponsors LOVE hearing from the teachers they support. Your thank you does three important things to communicate impact. It lets our sponsors know that teachers did indeed receive their funding. It gives our sponsors information they can share with their C-Suite and board members to show the value their funding provided, and how it supports their corporate goals. It adds a human element. While AdoptAClassroom.org helps provide the measurable results our corporate sponsors need, your story may very well encourage them to continue to support AdoptAClassroom.org and teachers like yourself. Your thanks encourages our corporate sponsors to give again. 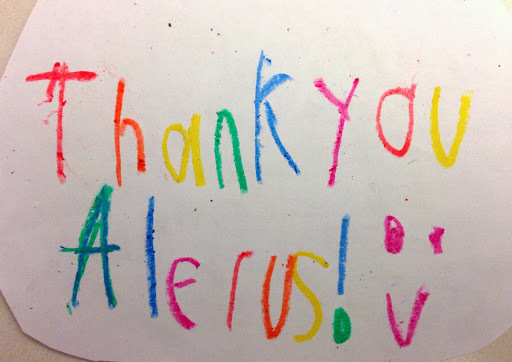 Saying thank you shows your sponsor that you appreciate the support your classroom has received. Teachers who submit thank you materials and maintain their AdoptAClassroom.org account are more likely to receive funding in the future, when we have appropriate corporate sponsor opportunities. Our corporate sponsors have choices of where to donate. We want to make sure they focus their giving on AdoptAClassroom.org and our nation’s teachers. There are three different ways we recommend you say thank you. Choose one, or do them all! Please note: These thank-yous are in addition to the thank you note you’re prompted to fill out when you log in to your account to shop. 1. A thank you video. A video is a great way to talk directly to your corporate sponsor. Take a few minutes to introduce yourself, show them what you purchased for your classroom, and talk about the positive difference their donation made for you and your students. Keep it short. Under 2 minutes is ideal. Keep it simple. Use your cell phone or laptop camera. There’s no need for fancy equipment or editing. The most important thing is to be yourself. Thank your sponsor directly. Make sure to thank your sponsor by name. Show and tell. Give a brief tour of your classroom and show them the items you purchased. Make sure your video file is compatible. Please submit MP4 or MOV files only. Need an example? Click here to watch a great thank you video. Please note: If you include students in your video (and you should! ), AdoptAClassroom.org requires a release form signed by a parent or guardian. Download the form here. If you need a copy of the form in Spanish, please contact us at [email protected]. 2. 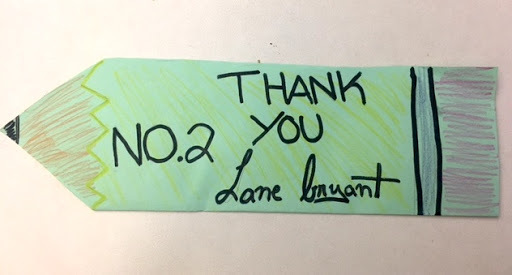 Thank you notes from your students. Get creative with your students! Ask them to write a note or make a piece of art to thank your sponsor for adopting your classroom. Or, have your students collaborate to make one big thank you from the entire class. Visit us on Pinterest for even more thank you note inspiration! 3. An impact letter. What’s an impact letter? Great question! An impact letter is a short (no longer than one page) letter explaining how the funds you received have helped you and your students. Mention your corporate sponsor by name. It means a lot to our sponsors to know right off the bat that you’ve taken the time to talk directly to them. Share your basic information. Your name, what subject or grade level you teach, and the name of your school. List what you purchased with your donation and why. Whether you bought books to replenish your classroom library, or storage solutions to organize your classroom closet, our sponsors want to know how their funds were used. Share positive outcomes. How have extra supplies benefited your students? Have you seen increased confidence in your students? Have you seen improved test scores? Were your students introduced to something new? If you have a specific or unique story about one of your students, or your entire classroom benefiting from your purchased supplies, please share it. Optional: Include photos. While your written letter will tell the story of how your sponsor helped you and your students, including photos of what you purchased, your classroom and/or students, will help connect your sponsor on a more personal level to you and your students. Please note: If you include photos of students’ faces, AdoptAClassroom.org requires a release form signed by a parent or guardian. Download the form here. If you need a copy of the form in Spanish, please contact us at [email protected]. How do you send your thank you to your sponsor? Anytime you receive a donation from one of our corporate sponsors, we send an email to you at the address we have in your AdoptAClassroom.org account. This email explains where to send your thank you materials, either digitally or by snail mail. Questions? We’re here to help. Please contact [email protected]. Thank you for everything you do to help your students.